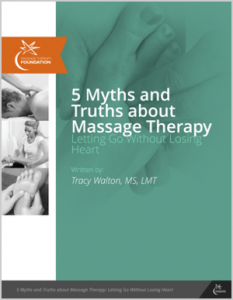 A clear, intelligent reference book that accompanies the massage therapy practitioner in daily practice decisions and communicating with other professionals. “The Side Effects Table”–Massage Therapy Guidelines for Common Side Effects of Medications and Procedures. Click on the cover to purchase through Amazon (affiliate link-Amazon sends us a small thank-you).